After working on a deadline, I always like to throw in a couple of projects that are instant gratification. 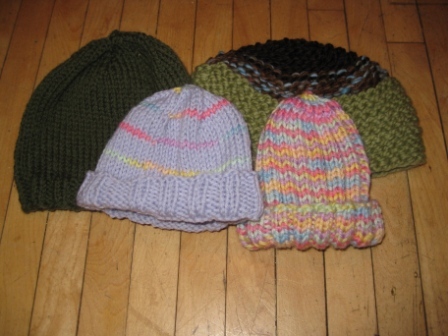 The Meathead hats from Knitalong can be done in a couple of hours. STC Crafts is offering it as a free download right now. Go, go get it and knit it. This is the child size, but it fits me. 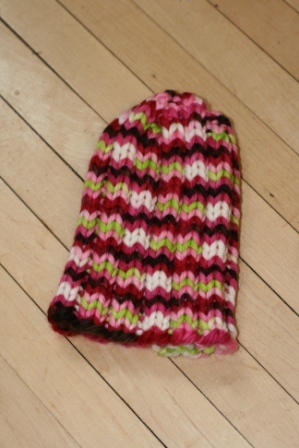 I made the pink one for Addie so she’d have a warm hat to wear to school. 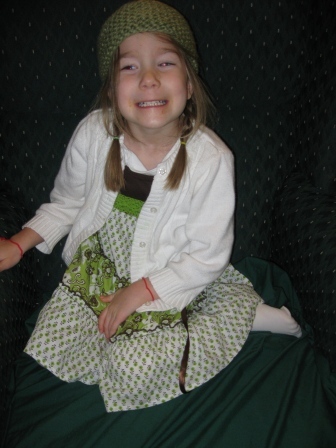 She put it on yesterday morning and said, "Cool, a elf hat!" I think that’s high praise from a 5 year old! 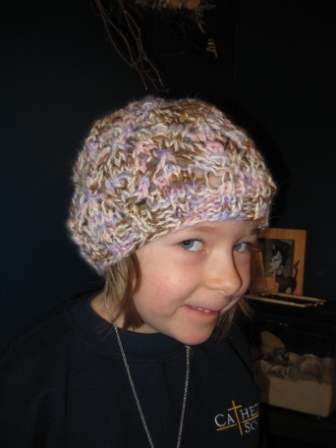 The hat was so cute on her that I made a second for Lily last night. Modifications: None. It’s knit flat and seamed together. 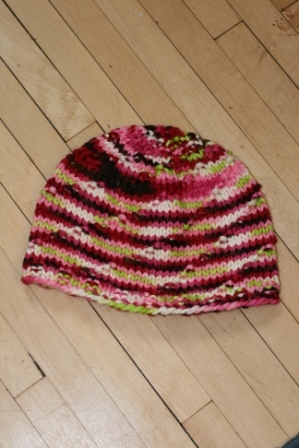 I may do another one in the round, just because I like it better, but I don’t have size 15 circular needles (Nor do I really want them) so I’d probably end up making it in a baby size. 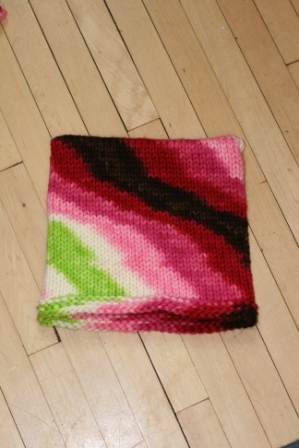 Comments: I received the yarn in a swap about a year ago and just didn’t know what to do with it. It’s two 45 yard skeins, so it’s pretty short on yardage. I finished the first mitt with probably a yard of yarn left over. These are super soft and cushy though!